I get my first pair of specs at the age of 6. My father is an ophthalmologist, so I have my eyes tested for the hell of it, and he discovers that, not only am I astigmatic, but one of my eyes is mildly short-sighted and the other mildly long. This means they sort of cancel each other out, and I don't really need the glasses, not yet. Sometimes I lie on my bed and I hold the specs by their arms up above me, and I squint at the ceiling light through each lens in turn and I marvel at how the light appears fat and blurry in the right lens, and sharp and tiny in the left. But after a while, the long-sighted eye joins the other in its romp into myopia, and the astigmatism marches on. By the time I'm 10, I'm wearing specs full-time and in a way it seems appropriate as I am already the school spod. I let it pigeonhole me to some extent - I give up trying to be good at sports, although enforced activity means I regularly get a netball in my face anyway, and I retreat bookishly behind the frames. When I turn 18, my father and decent toric technology determine my eyes eligible for contact lenses, and it seems like a red letter day. Suddenly I have a face again. And I wear the lenses all throughout university and law school and my first job. At least I think I do, because when I look at photos taken during that time, I'm not wearing specs. Not ever. But when I move to a new company, my lenses don't come with me - the aircon's too strong and my work requires squinting at a monitor, and so I find myself not bothering to put them in any more. But I hate bespectacled me so much that if anyone comes near with a camera, I whip off my specs and I smile before shoving them back on my nose. Thus, doctored by vanity, my photographic history continues seamlessly as before. Sometimes I toy with the idea of getting my eyes lasered, but I'm put off by horror stories, and by the memory of a French teacher who could only afford to get one done and so ended up having to wear glasses anyway. And my dad, the ocular oracle, keeps saying, "This is a new-ish procedure and I'm not convinced it's safe - I'd wait a while - you've only got one pair of eyes". And I'm certainly not going to argue with him. By the time I'm 30, my eyesight is so poor that the only time I'm barefaced is in the shower or in bed. Unless something is right in front of me, I can only make out shapes and colours. I'm resigned to my disability, but occasionally I feel flickers of unease. 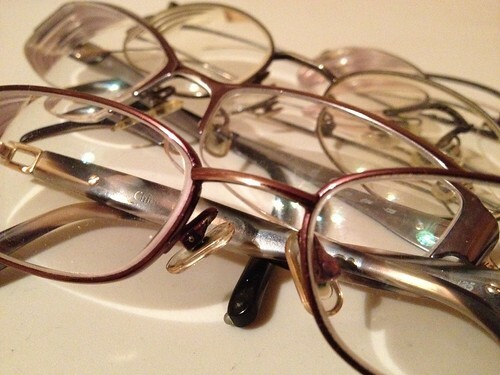 What if I lost my glasses, or broke them? What if the zombies came? I'd be utterly useless, the first one to get munched down. This bothers me more than it should. Then, just before Christmas, my dad says to me, "I think it's time you had laser surgery". And everything changes. 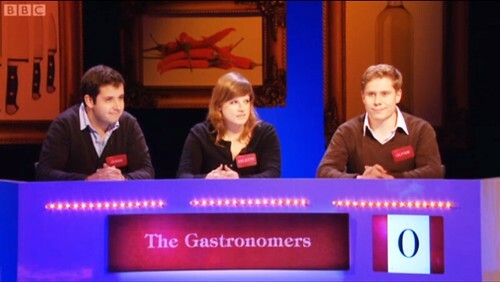 Last night's food quiz was the third time that my impossibly round face has appeared on the television. The first time was in 2003 for University Challenge: the Professionals, and the second in 2005 as 'Er Indoors when my husband got to the final of BBC's End of Story (they showed me failing to catch a frisbee - they wanted to film us interacting, but decided Virtua Tennis 2 was too sedentary. Gits). So I have the rare privilege of having been grilled by both Newsnight anchors without being a politician which is pretty cool. It was so much fun to take part in and it just reinforced for me what a complete quiz nerd I am (and that I really like pressing buzzers). 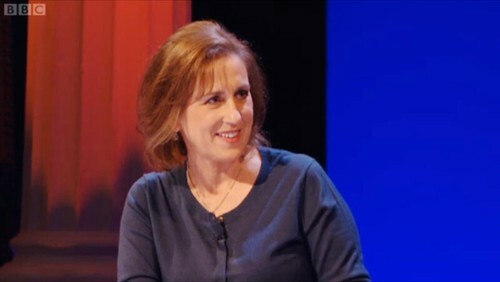 Presenter Kirsty Wark is one of the nicest "celebs" around, and Dictionary Corner's William Sitwell has met me five times now and failed to recognise me each time. Which is nice. By far the oddest thing about last night (apart from seeing myself with subtitles because my mum's hearing isn't great) was when national institution Stephen Fry tweeted that he was watching the show too. Anyway, if you watched it last night, I hope you enjoyed it, and if you didn't catch it, you can see me pull lots of odd expressions on iPlayer for the next 6 days here. Much love to my team mates Paul and Donald, and here's to the Epicurian Fails living to fight another day doing something equally silly. They often say that a blog is a diary, a catalogue of events in one's life, although arguably a diary is more interesting to other people. I was always rubbish at keeping a diary though, and that's partly why I've failed to write about some events which I ought to have recorded. Take the picture at the top - this was the Scotch Egg Challenge at the Ship in Wandsworth. 36 contestants, 5 judges, one winner. Chef Mat Follas, celebrity baker Eric Lanlard, bloggers Chris Pople and David Constable and I chose the brilliant offering from the Devonshire Arms in Chiswick. 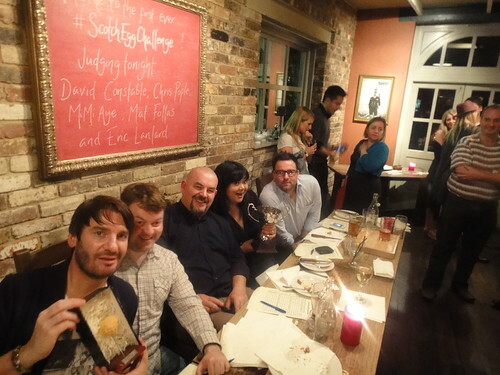 The #ScotchEggChallenge as it was known on Twitter made the Evening Standard and the Guardian. A full account of the results on the Ship's blog here. At the start of last year, I took part in the Barbecoa Brawnoff. 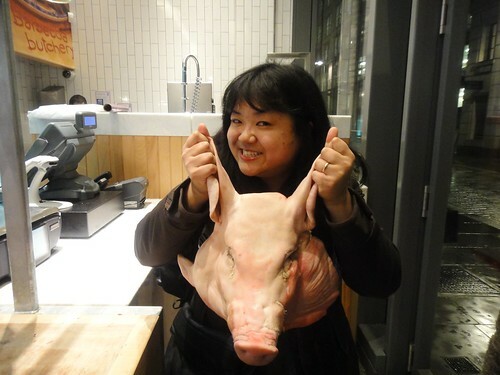 Food Urchin, Paul from How not to do a Food Blog, the Grubworm and I were each given a pig's head by the butchers at Barbecoa, Jamie Oliver's steakhouse in the City and challenged to make the best brawn we could. 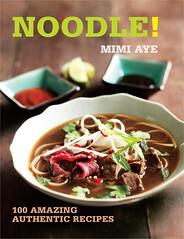 Read about what happened here on JamieOliver.com. 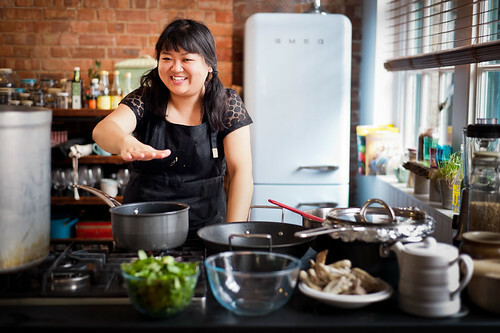 Kidding aside, Grazing Asia is the London Foodie, Uyen from Leluu, May from Slow Food Kitchen, and me joining forces to bring you lots of fun events, pop-ups, supperclubs - the chance to cook with us and eat our food. Grazing Asia specialises in Japanese, Vietnamese, Malaysian and of course Burmese cuisine and we launched at Fifteen, the flagship restaurant of Jamie Oliver (yes, him again), raising over £1,000 for charity in the process. Again, you can read about this on JamieOliver.com. 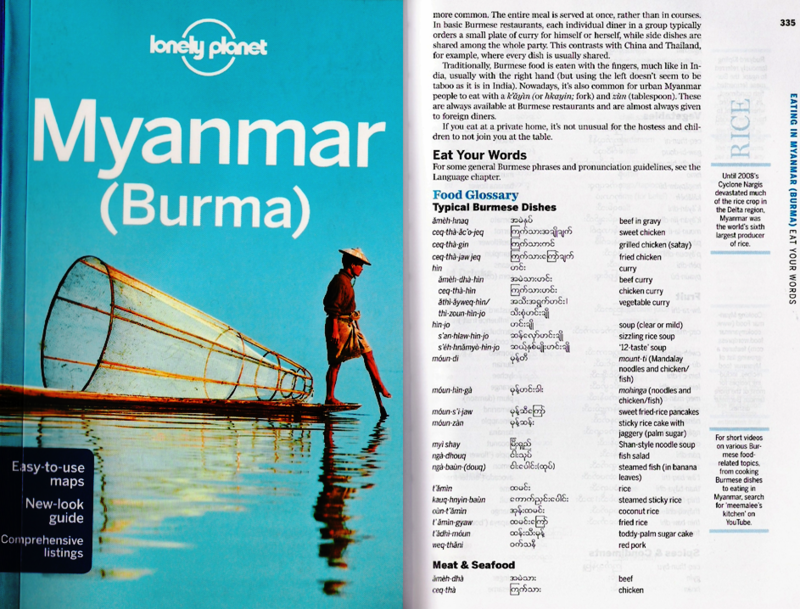 Today, I'll be hosting Burma by MiMi at the London Cooking Club, and I'm planning a Pork Dinner and a Noodle-shack over the next few months. To learn about upcoming events from all of us, you can join the Grazing Asia mailing list here. 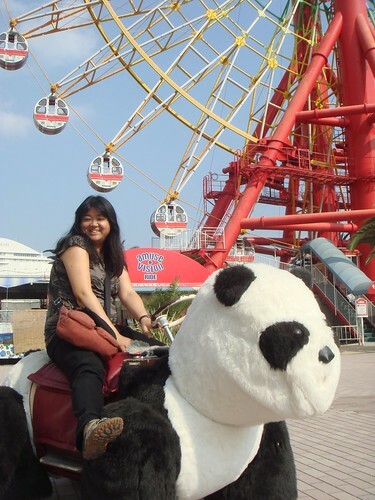 I went to Japan. I had the best meal of my life there, as well as others worthy of mention. And I will mention them properly later, I promise. 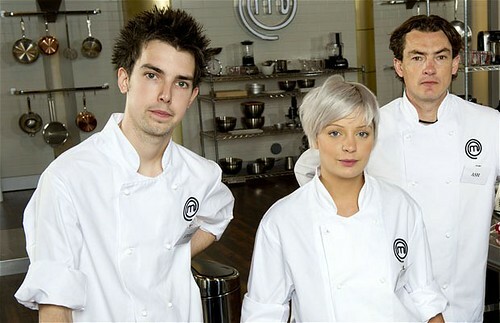 MasterChef the Professionals 2011 came and went - somewhere in the offices of Shine and Haymarket, a sobbing noise could be heard as they realised BBC scheduling placed the Final just before Christmas when nobody cared (and missing the chance to pimp the winner in MC Live). 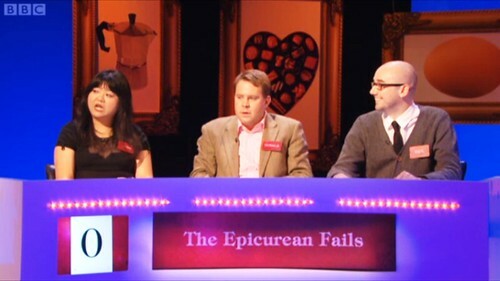 Our finalists were Pob, the Final Fantasy blue rinse girl and the Australian cuckold. The Australian cuckold aka Ash Mair won. And if you're wondering what the hell I'm on about, look at him. So despite these odds, he won. Nice one. 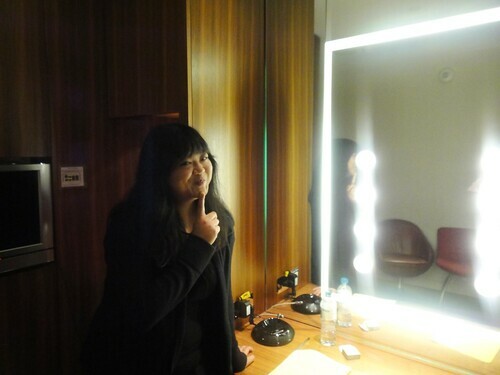 Lastly, that's me in my dressing room in the BBC Television Centre. 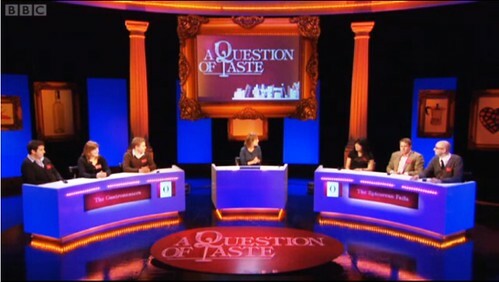 If you watch BBC2 at 7.30 tomorrow (Monday 9th Jan), you'll see me, Donald from Notes from the Dregs and Paul from How Not to do a Food Blog as Team "Epicurian Fails" being grilled by Newsnight's Kirsty Wark on the quiz, "A Question of Taste". We'll be up against the Guardian's food writers Felicity Cloake, Oliver Thring and James Ramsden. And please bear in mind that I'm really not that smug in real life. Honest. They called a special assembly. We trooped in idly, wondering what was up. As we stood there, the wooden hall filled with the sound of clattering feet, then jostling and joking and the odd fart noise (both real and faked), then silence as we realised from the teachers' faces that it was something serious. "There was an incident", said the headmaster, and he paused, reluctant to continue. Rohit Duggal, a couple of years above me. One of the cool kids, a bit mouthy, but generally well-liked (being a bod, I was intimidated by him). He'd gone with a mate to the chippy on Well Hall Road in Eltham; there'd been some kind of fracas with some other boys and they'd chased and attacked him. And now he was dead. Some of the pupils burst into tears; all of us were shocked. People our age didn't get killed in fights. Hell, up till then, the worst injury I'd come across was a dislocated shoulder from an over-enthusiastic rugby tackle. We filed out slowly and the whispers began. The internet didn't really exist in those days - I think there was a report in the Newsshopper, but then I never knew what happened afterwards, and I was a feckless teenager with other things on my mind. So life went on for the rest of us, but Eltham became one of those places you didn't want to dawdle, least not if you possessed a brown face. Whether it deserved this reputation or not, it was cemented eight months later when Stephen Lawrence was killed (on my birthday, as it happens). In the sixth form, I moved to a new school, and my bus home went right through Eltham. At first, I'd stare at each stop suspiciously, wondering if that was the bus stop and I'd feel a frisson of fear. But then I forgot, because I had A-Levels and boys and acne to think about. It's a long time since I left school, and I hadn't thought about Rohit in ages, but when I heard about the verdict in the Stephen Lawrence case today, I googled Rohit's name. I didn't expect to find anything, but there was a raft of mentions. I'm glad that there has been some justice for Stephen Lawrence, and I am sad it has come 18 years after the event. I am sad that he, and others like him, were taken before their time. And I am sad that I forgot.